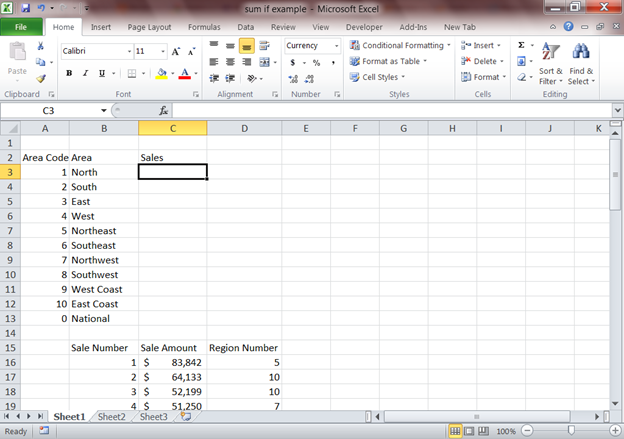 Simple Math and Excel Tips: The SUMIF: A very simple yet powerful formula. The SUMIF: A very simple yet powerful formula. It’s very easy to set up and it can have a profound effect on how you record and report information. 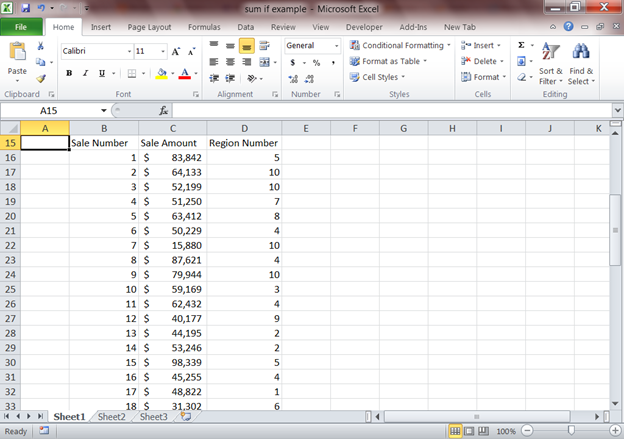 On the top of the spreadsheet we have a summary section where we’ll use SUMIFs to calculate the sales for each region. 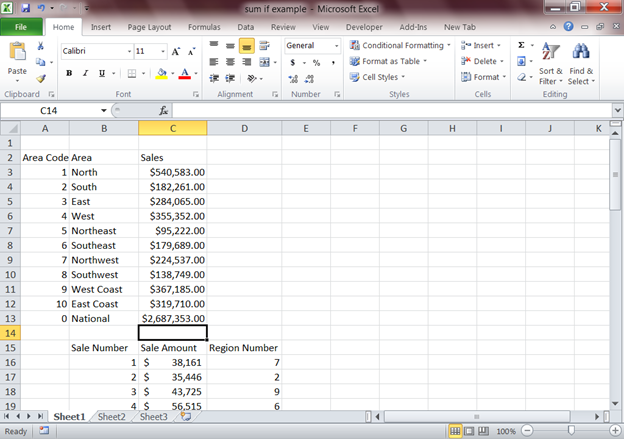 Starting in row 15 we have a list of sales transactions with each record containing the Sale Number, Sale Amount, and Region Number. There are a total of 50 transactions listed. 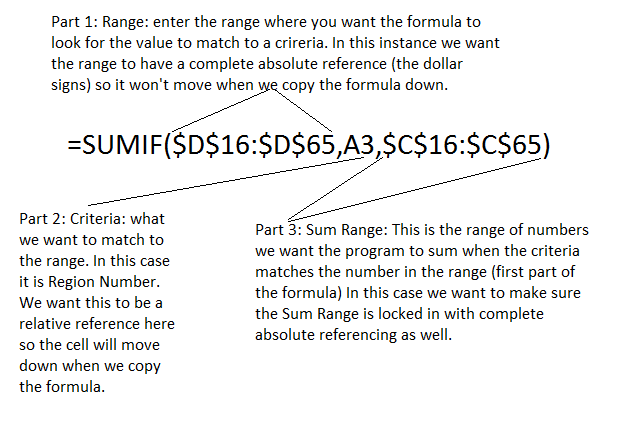 Let’s create the SUMIF formula for our summary section. Refer to the graphic below for an explanation of the formula. That's a basic SUMIF function.